Turns out driving on snow isn’t only ridiculous fun, but educational too. Here’s what we learnt, and why you should do it. I FINALLY drove a Ford Focus RS then other day, so naturally I now think I have the drifting skills of Ken Block. Ford’s feisty hatch is, of course, famously fitted with a “Drift Mode” setting, which through engineering brilliance, turns what is ordinarily a grippy four-wheel-drive performance car, into one you can steer by peering through the side glass – in controlled conditions, of course. 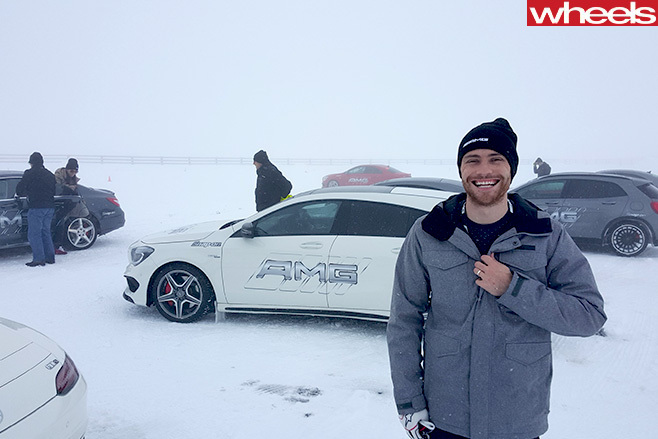 If, however, you don’t have access to a Focus RS, or you simply can’t afford one, I’ve since discovered another way to quench one’s drifting thirst: driving on ice. This isn’t as far-fetched as it sounds. 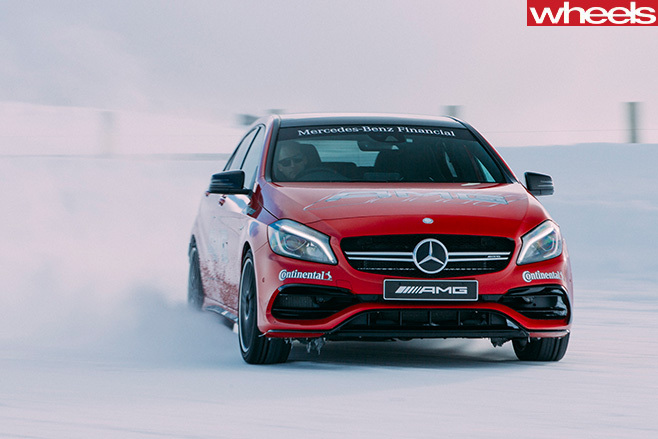 Many brands run snow driving experiences, which offer the chance to spend a day in a sideways winter wonderland. The reality, though, is somewhat more sobering. For me, at least. 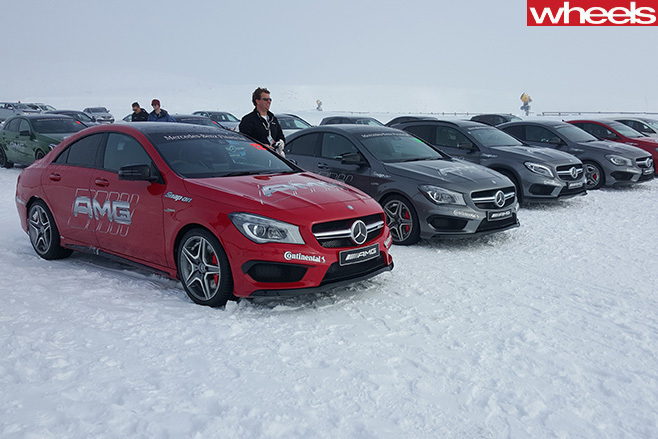 The day I attended was run by AMG in Queenstown, New Zealand, and combined a fleet of expensive, high-powered cars with vast expanses of purpose-built ice-covered courses. Within the first five minutes I had spun three times. Even driving in a straight line proved difficult, so slippery was the icy ground. And don’t think AMG fitted spiked tyres to boost the grip levels either. Every car had standard winter rubber, which made it feel as though God had covered the entire snow flat with massage oil. And it wasn’t only the cars struggling for grip. The last time AMG was here, an instructor slipped over and snapped his leg in half. Like a toothpick. The good news is this sensation, which is how I imagine newborn giraffes must feel, doesn’t last long. Soon enough, you’ll stop sawing at the wheel and driving like your feet are the size of watermelons. Suddenly your inputs will be smooth, you’ll steer not with the wheel but with the throttle, and you’ll learn to think ahead of the car, rather than chasing its swinging tail. You’ll find yourself starting slides not as you enter a corner, but when you’re still halfway through the bend before it. This means driving on ice isn’t only brilliant fun, but educational too. 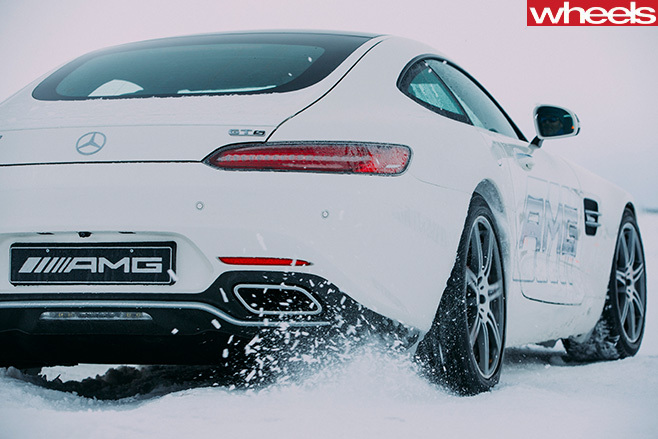 AMG’s fleet of cars were a mix of rear- and all-wheel drive, so as well as car control, you also learn about weight transfer. The biggest takeaway, though, is how crucial your vision is. “Object fixation” is one of the instructors’ favourite catchphrases, and roughly translates to “if you’re looking at it, you’ll probably hit it”. The trick, then, is not to look at what you’re about to run into, but where you want to go. Master this, and you won’t only emerge a better driver, but reduce your chances of winding up on YouTube in a video titled “drifting fail”.